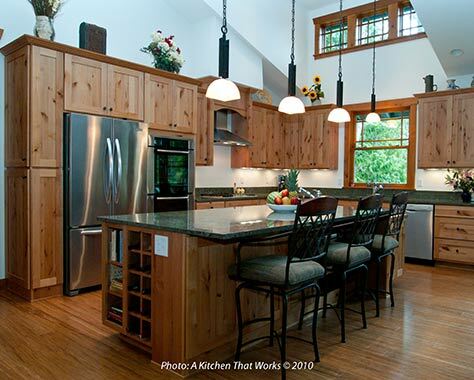 This new construction kitchen was designed for a pair of empty nesters who enjoy cooking and entertaining and love having their extended family close at hand when they come to visit. 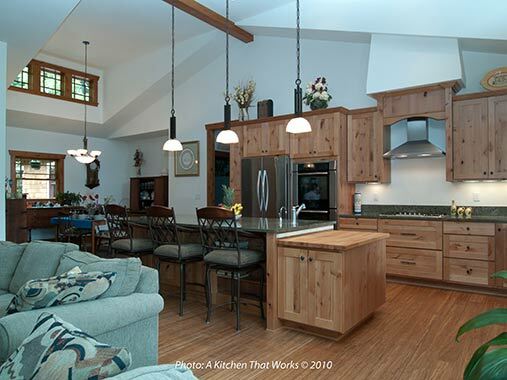 The goal was to make the kitchen, in this open plan home, feel cozy and intimate when the owners were home on their own while simultaneously providing enough seating and counter space for large gatherings. 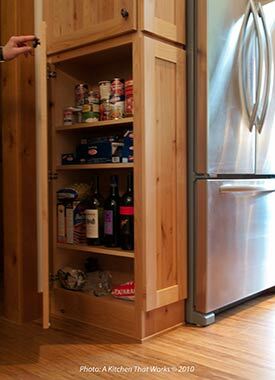 The kitchen island is packed with a variety of amenities including a microwave drawer, a prep sink, tool drawers, a built-in lift for a stand mixer, a wine rack, book shelves, concealed storage for seasonal items and ample seating for three. 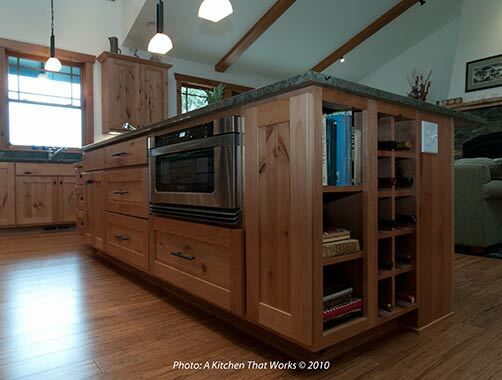 The butcher block end of the island makes meal preparation and baking cookies with the grandchildren both safe and ergonomic. The dormer windows to the east and west ensure that the room is filled with natural light throughout the day. "Thanks Molly for helping us with your expertise in not only the kitchen design but many helpful suggestions for building our new home. 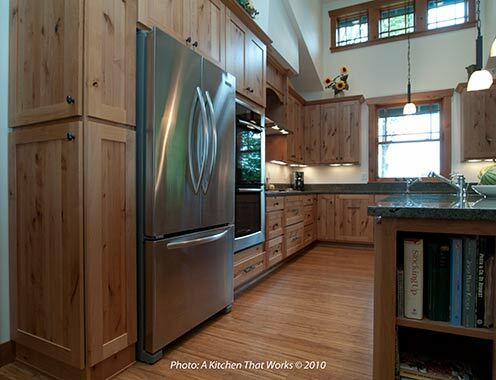 Our kitchen is a dream come true, from the butcher block counter to the microwave drawer, we love it!" ~ Marilyn M. Homeowner.